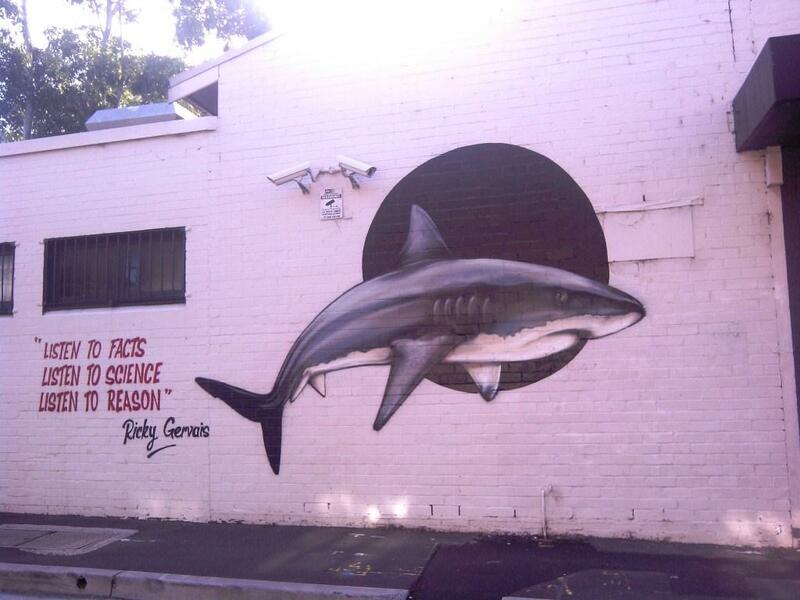 Local Inner West resident and artist Thomas Jackson painted the George Street wall of Hive Bar in Erskineville, a comment to the recent Western Australian government’s shark cull that began on January 26. At the same time news headines also declared “Buses the big killers of pedestrians in Sydney’s CBD…”. I ask myself, should the NSW Government take a cue from WA and cull the buses? This entry was posted in Blog and tagged Australia, environment, opinion, shark cull, Street Art, Sydney.